NG*1249 below was John’s other very rare photo, from 1970s Viet-Nam, of the series created for diplomats. NG abbreviates the Vietnamese Ngoai Gaio, translating to “Foreign Affairs” – the international equivalent of ‘Diplomatic Corps’. 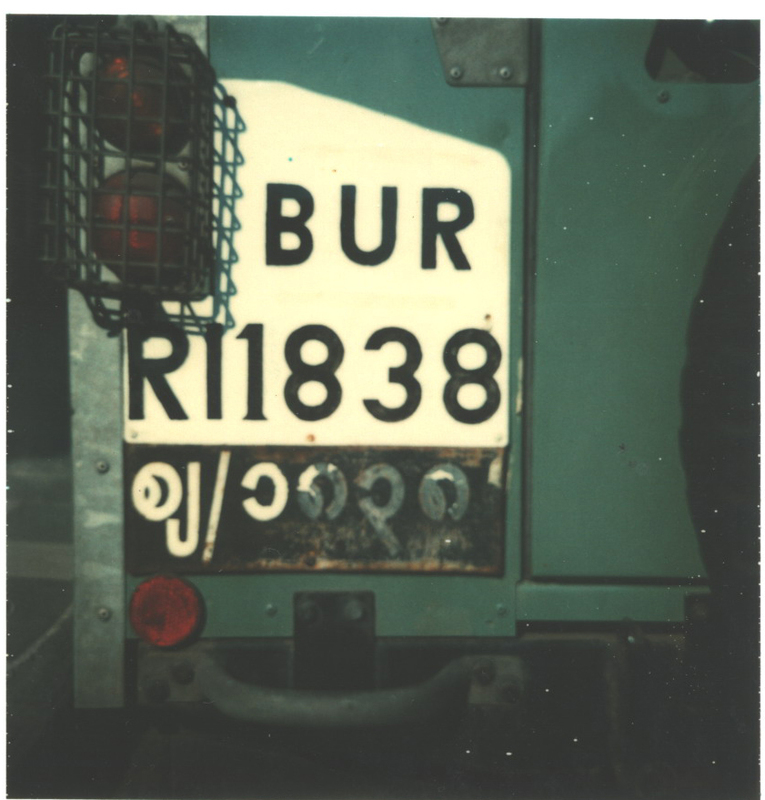 Though RPWO has a full embassy code list from that time, it remains difficult to attribute the plates of which Europlate has pictures, to that list. 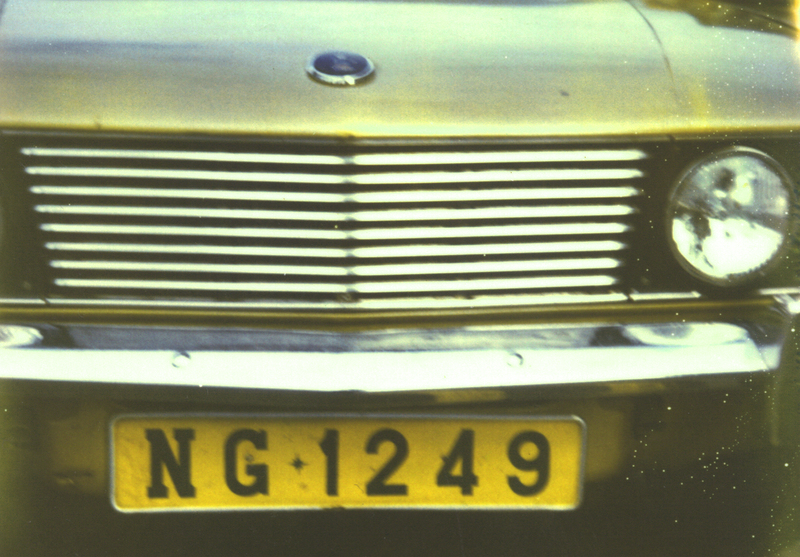 As a (presumably) British embassy car, this Sunbeam should have 01 in the registration, but it shows either 12 or 49 for a code……. Usually these were green on yellow – this one, oddly, is black on yellow. 1970s Sunbeam Rapier car from the an embassy in Saigon, seen in Cardiff, Wales by John Grabham during the 1970s. 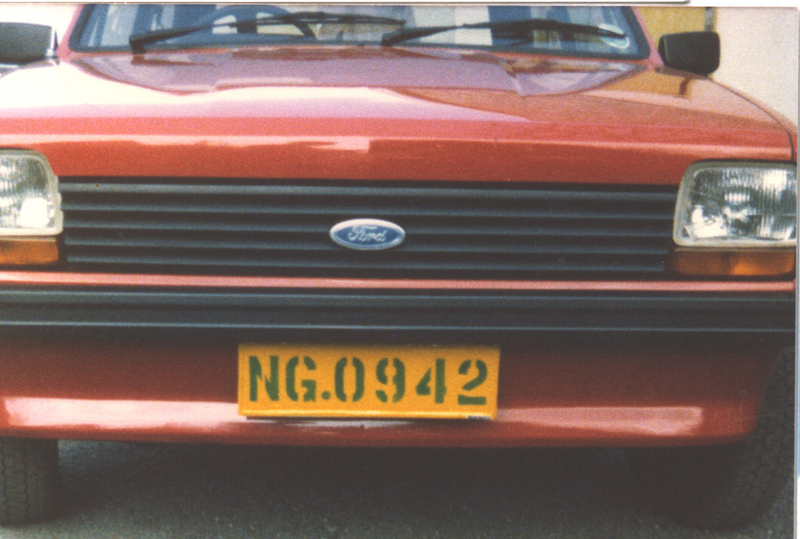 About the same time, Nip Thornley saw a similar diplomatic Ford Fiesta NG 0942 in Britain, but the code doesn’t indicate the British embassy (01)…..
NG.0942 came from Saigon embassy 09 or 42! 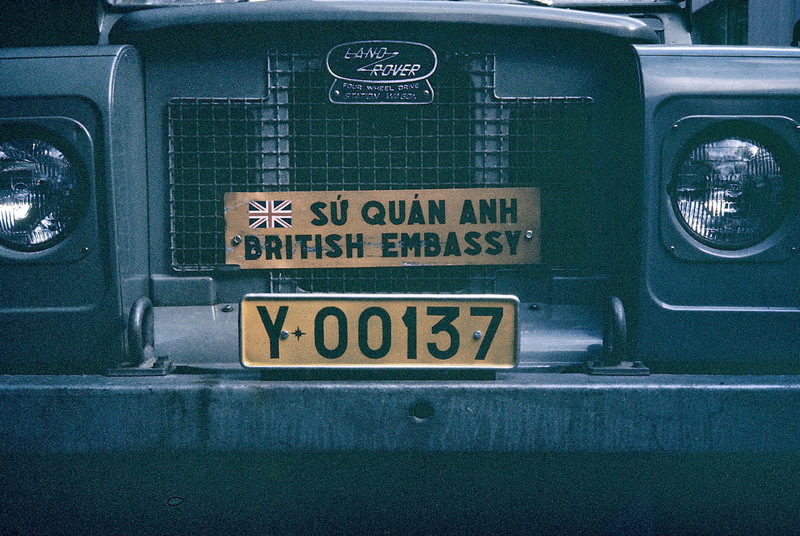 This Land Rover Y*00137 was shot in Saigon by Murray Bailey at the British Embassy in Saigon, during the 1970s and is one of the few we can be sure of, attached to a specific embassy. Here, the 001 must(?) be for GB, car 37, possibly? Y*00137 Later, unknown CD or semi-CD type, using both Y and T and five numerals with leading zeroes, circa 1976. Brumby archive, via Murray Bailey. The ‘T’ variant on some 1970s Vietnam diplos. Below: The first Vietnamese I ever saw, was in Cannes in 1957 and is the only one I have ever seen with a VN – and with Chinese script included in the plate. Apparently it reads ‘”Viet Nam“. The N indicates the North of the country (Hanoi) the B was the code for cars and the M was serial. 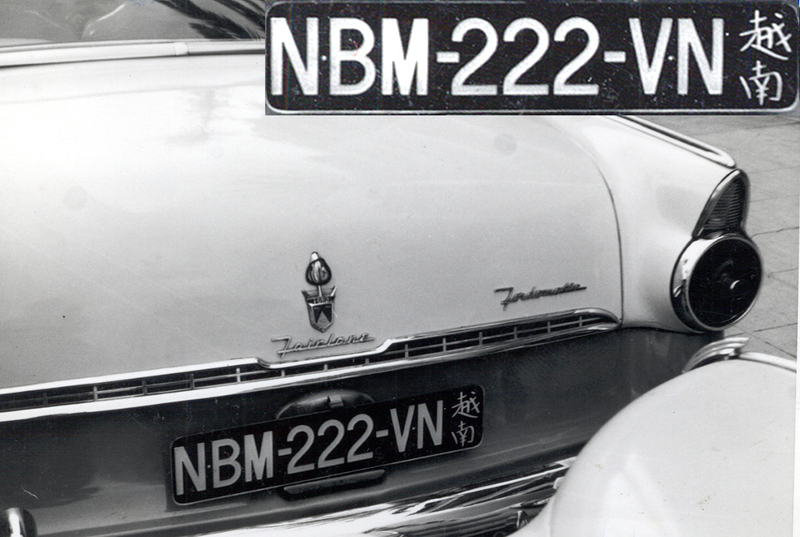 No such ideogram-embellished plates existed in Viet Nam, I am sure; this smart American Ford Fairlane had been specially plated to bring home to France by a departing French senior colonial administrator, I would suggest. 1957 North Viet Nam seen in France. White on black. 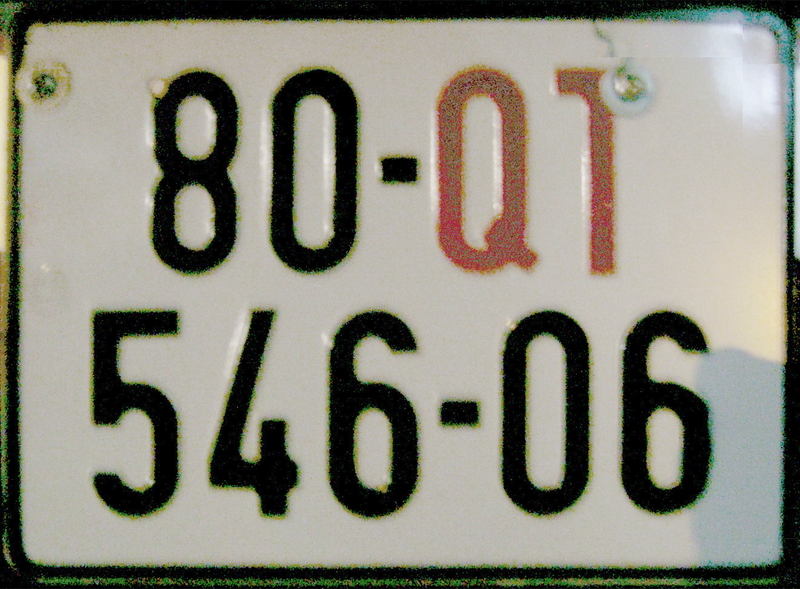 Finally, below, the unidentified category of embassy or foreigner plate represented by this single example I saw in Saigon in 2008. Can anyone help? YES!